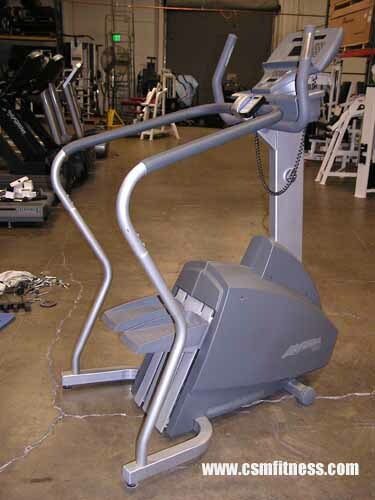 The Life Fitness 95Si Stepper’s IsoTrack™ climbing system with mono-roller, belt-driven design offers the user a smooth, low-impact exercise experience. The handlebars are ergonomically designed for support and proper upright positioning. The 95Si Stepper features 26 workouts including 5 ZoneTraining+™ workouts.